The debate in Italy and Europe on how to govern migration often revolves around national policies and politics. The irregular arrival of migrants on European shores has focused public attention on how to manage migratory flows at the macro level, something that falls inevitably under the responsibility of the central government of each member state, or of the EU as a whole. However, migration governance is not just about finding solutions on how to regulate the flow of people crossing international borders. It also concerns, and often entails, the measures that need to be taken to help newly-arrived migrants integrate in host societies. For this, the role of local authorities is equally important – particularly that of large cities. It is at the local level that integration processes take place in everyday life. It is at the local level that policies designed and adopted nationally or regionally are implemented. And it is at the local level that the political debate sparks some of the biggest controversies, starting from the tensions between the newly arrived and those who have lived in a city or town for a longer period of time. At the local level, in turn, big cities play a crucial role. Migrants tend to be much more mobile than natives with regards their place of residence, and therefore tend to cluster around large urban areas – their peripheries, in particular. In OECD countries, 66% of migrants live in densely-populated urban contexts, compared to 58% of natives. On top of that, migrants often display a preference for larger, more integrated, and technologically advanced cities. It is to be expected: these cities offer the best prospects in terms of public services, social support networks, and job opportunities. At the same time, foreigners living in cities continue to experience clear disadvantages compared to natives, especially when their skill level is low. These migrants tend to have chronically higher unemployment rates, and when they are in employment tend to work in more precarious positions; they display a lower education level than natives; and they continue to experience obstacles in accessing essential public services, such as healthcare and housing. Integration policies are therefore key to offer a level playing field, and their implementation at the local level is of paramount importance. One of the main challenges encountered in the design and implementation of integration policies is that the competence for many of these policies tends to cross many levels of government. Labour market integration, language training, healthcare services, and housing are all essential elements of a comprehensive integration policy, and they all comprise a body of legislation and practices that spans many territorial levels in most EU countries. This gives rise to a classic coordination dilemma between administrations that do not always have the same political preferences. Even when they do, administrations at different territorial levels may find it hard to cooperate effectively. Striking the right balance between too many or too few “multi-level meetings” can be hard, but this can make the difference between uncoordinated policies and a properly functioning multi-level governance of integration policies. A second, crucial obstacle for local administrations, including large cities, has to do with the availability of financial resources. A 2017 study estimated that in OECD countries the costs of refugee-related expenditure end up being borne by local authorities for around 35-45% of their total cost. In addition, when they have to manage an unexpected surge in migratory flows, larger and more attractive cities may experience an even more significant increase in costs. On the face of this situation, central governments stretched thin by austerity policies might transfer funding to local administrations with a significant delay, forcing approved projects to start late or not start at all, or leaving many services underfunded. Moreover, political conflicts between the local and the central level might be an incentive for central administrations to delay payments and force local municipalities to accommodate their requests. Given all this, there is an urgent need to identify and invest in good practices for a proper multi-level governance of integration policies. One such practice can be found in Finland. Since 1999, the central government of the country has adopted a National Plan for Integration. Every four years, the government sets integration targets for the next four years and adopts the strategy to reach them, in agreement with local authorities. The Ministry of Economic Affairs and Employment is responsible for allocating financial resources and monitoring their use at the local level. However, the Ministry is also in charge of correcting (increasing or decreasing) the level of resources allocated to each local authority according to needs that may arise from year to year. A dedicated consultation and cooperation body brings together central and local governments, allowing representatives of each territorial level to negotiate access to additional resources in the event of a provable shortfall and a real need for additional services. This best practice shows the need for financial flexibility, but also exposes the limits of an approach to multi-level governance that disregards potential political friction between different territorial levels. The integration of resident foreigners in local societies remains a crucial need even in the face of anti-migrant policies at the national level. Given the current wave of anti-migrant sentiment across Europe, only those countries with the proper governance tools to manage dissent will be able to carry integration projects forward to the benefit of local communities. Devising “political clearing houses” that offer a chance for representatives from different territorial levels to express their preferences, debate them and reach a feasible compromise should be one of the most important short-term political objectives of EU countries that still lack such mechanisms. Crucially, the administrators of big cities in each country should always remember that they are setting an example for many smaller municipalities. At the end of the day, the exchange of best practices is most effective within the same EU country, while it is harder to “import” a best practice from abroad. Only larger cities have the vision and the administrative capacity to take stock of current best practices and decide which to “import” and why. This spillover effect can only start with them. The future of integration in Europe will revolve around how and to what extent big cities manage to integrate migrants within their economic, social, and political fabrics. No abstract governance mechanism can compensate for a lack of political willingness at the local level. Experience teaches us that all integration is local. And large cities have an essential role to play. 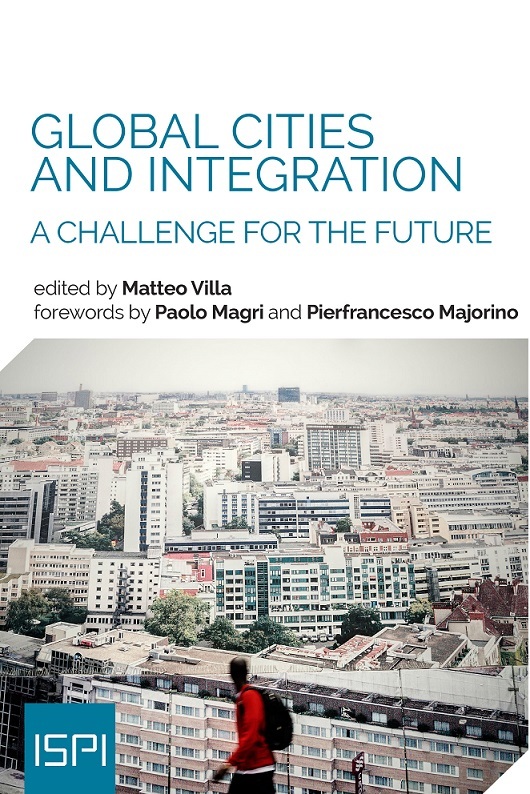 This is an edited excerpt from M. Villa, “Cities and Integration in the Age of Multi-Level Governance”, in M. Villa (ed., 2018), Global Cities and Integration, ISPI. The full chapter can be accessed here.